Free Fall Tours & More For Educators! 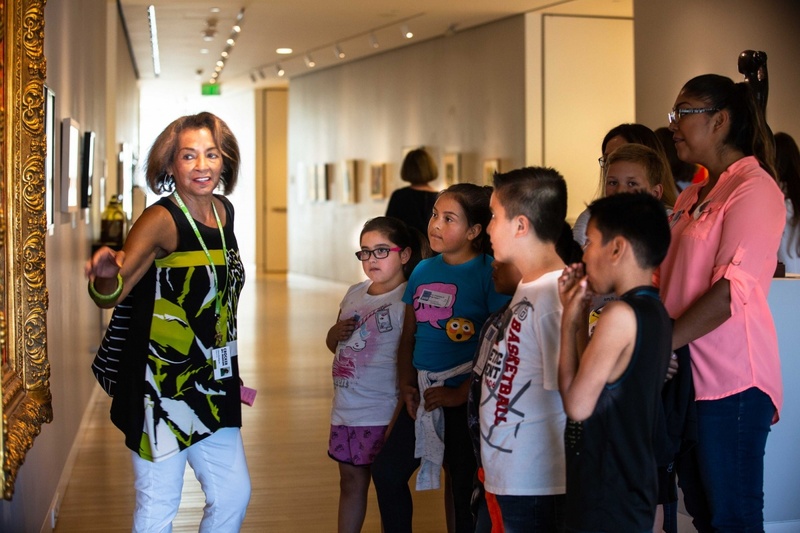 There's a LOT for students to see and do at the Crocker, plus so many ways to engage with art - explore below! Get your year off to an artful start with a field trip to the Crocker! From August 24 – October 19, 2018, all 50-minute guided museum tours will be FREE at 10 & 11 AM. Self-guided tours, available throughout the day, are FREE as well! Reservations must be made four weeks in advance. Not eligible for the Tour+ program. Email education@crockerart.org to register. 45 – 50 minute tours are offered Tuesday – Friday at 10 & 11 AM. Alternate times based on docent availability. Maximum 70 students per hour. One chaperone is required for every eight students (except for “A” is for Art Tours). Required chaperones are free. Additional chaperones are $6 per person. When reserved four weeks in advance, the price is $2 per student in Sacramento County, or $4 if visiting from outside of Sacramento County. Additional discounts are available for Title 1 schools. Please notify us of the percentage of students that receive free/reduced lunch when making a tour request. Read more on our Tours page! If a school group elects to bring bagged lunches, they can enjoy them at Crocker Park directly across the street from the Museum, and if available the Museum’s E. Kendell Davis Courtyard. The Crocker Art Museum does not have indoor public spaces available for groups that bring bagged lunches. Please note in case of inclement weather, we suggest making alternate plans. Click here to explore the variety of programs and sign up now!